Created in 2015 London's Housing Development Corporation is working to partner with private developers and address the city's pressing need for affordable housing. But its CEO admits that HDC is only part of the solution. 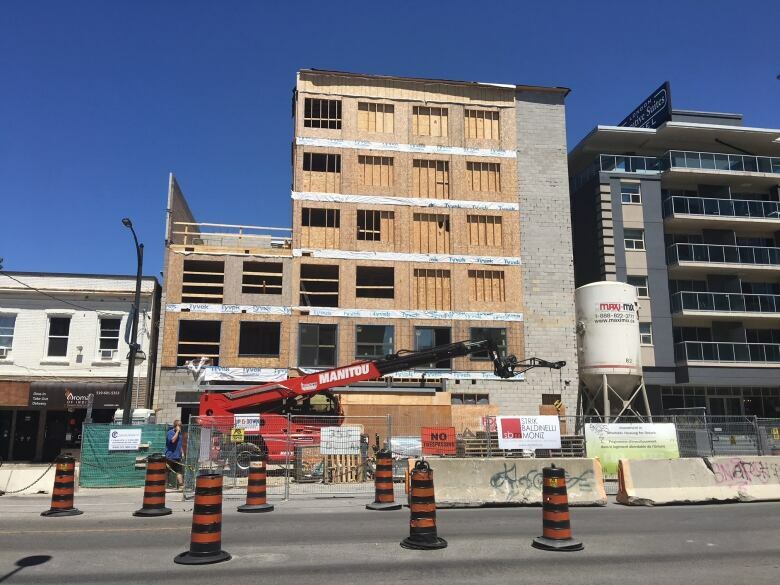 A renovation underway at the former Honest Lawyer bar on Dundas Street could be a sign of things to come as London works to address a pressing need for more affordable housing units. The project at 226-230 Dundas Street will turn the former bar and apartments above it into 33 affordable one-bedroom apartments. The main floor will remain commercial space. The project is being stick-handled by London's Housing Development Corporation, an arm's length branch of the city created in 2015 to help build up London's supply of affordable rental housing. HDC acts as project manager, working with private developers and connecting them with low-cost financing and money from senior governments. The idea is to create an incentive to build new, low-cost rental stock for tenants on lower and fixed incomes. Stephen Giustizia, HDC's CEO, says the current challenge is to address London's most glaring need: one-bedroom apartments that rent for below $1,000. "We've got great housing and a very vibrant market in London in the above-average rent and home ownership, but it's that category of housing that's below-average rent where we see a growth in population, and a very large need for single-bedroom units," he said. "There's a lot of demand, but low stock." According to the 2013 Ontario Rental Market Report, London's vacancy rate was 3.1 per cent in 2013. Today it's 1.8 per cent. With vacancies tight, rents are rising. Five years ago, the average for a one-bedroom apartment was just under $600. Now, it's closer to $900. There are about 3,500 names on London's wait list for affordable housing. This list includes both families and individuals. In extreme cases, they can wait up to five years. Faced with these numbers, the HDC is looking to find partners — including private developers and non-profit organizations — that are willing to work with them to meet the need. Further east of the Honest Lawyer site, HDC is involved in another project: a new six-storey infill building under construction at 356​ Dundas St., right across from the Morrissey House Pub. It's a $12.7 million project that will add 69 apartments, 50 of them at below-market rent and 10 of those to the Canadian Mental Health Association. Just under $5 million will come from a mix of federal, provincial and city money. The city's contribution (about $1.5 million) comes in the form of a no-interest loan repayable to the city after the loan amortizes in 30 years. "It's a greatly reduced mortgage," said Giustizia. "Which translates into lower rents." Through projects like this, HDC aims to add about 150 units a year to London's supply of about 10,000 affordable housing units. But is 150 new units a year enough to lower rents, raise vacancy rates and freeze London's fast-rising rents? Giustizia admits it isn't. "We know the need in London is growing, the quick answer is [these projects] are not meeting the need," he said. "But addressing the need for affordable housing in London isn't something the HDC can do on its own, it's something we're working on with developers and the non-profit community." He also said other pieces, like adding to the number of secondary rental suites in the city, will help. Coun. Phil Squire agrees HDC is a move in the right direction, but not enough on its own. "We're trying to place money where it's going to help people to build buildings," said Squire. "But that doesn't mean we will satisfy the need for affordable housing. The best people to do that is the private sector. They will always find it more profitable to build high-end housing and that's the challenge we're facing in London." Andrew Lupton is a B.C.-born journalist, father of two and a north London resident with a passion for politics, photography and baseball.